Resident of Majdal Shams in Golan Heights had previously served 27 years for same offense. The Nazareth district court sentenced a resident of the town of Majdal Shams in the Golan Heights to 14 years in a prison for passing information about IDF activity to Syrian intelligence. He was convicted of cooperation with a foreign agent. 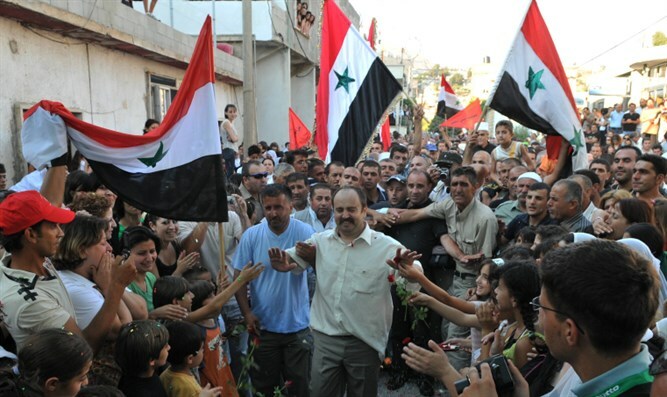 Syrian news outlets reported that in 2012 the man was released from Israeli prison after serving a 27-year sentence for spying on behalf of Syria. After being released, he again took up spying for Syria. According to a report by Channel 10, he passed along intelligence information he had received through an IDF combat soldier. The soldier was arrested in February 2015 within the context of the episode. The convicted man documented IDF activity along the northern border and passed the information to Syrian officials both directly and by uploading it to the internet.